One of the most popular portable Dancefloors we hire for weddings or marquee parties. 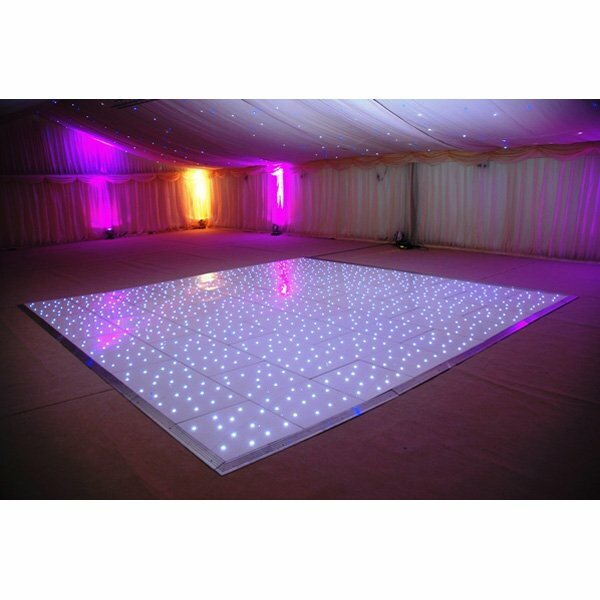 This beautiful white floor is filled with sparkling white LEDs. The floor simply locks together for installation and is available in various sizes.